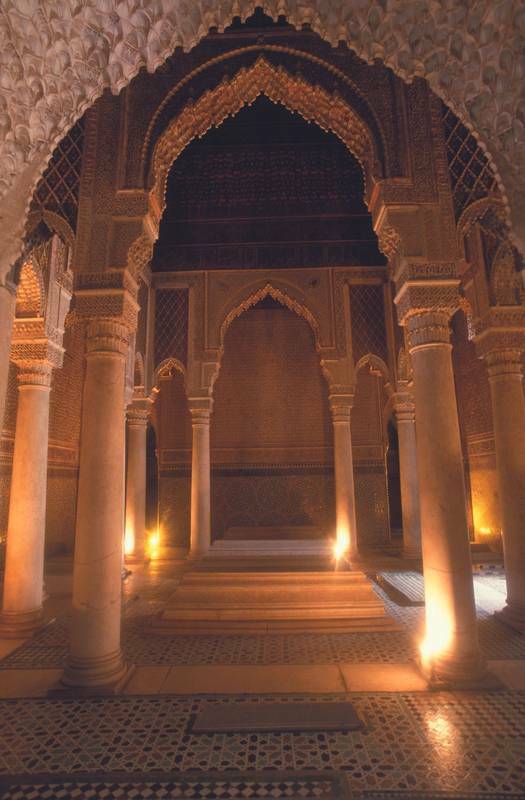 Morocco has been described as ‘the country that travels within you’ and is surely a place like no other. City squares filled with snake charmers and acrobats, camels strutting along sandy beaches and maze-like souks piled high with lanterns and carpets; these are just some of its charms. 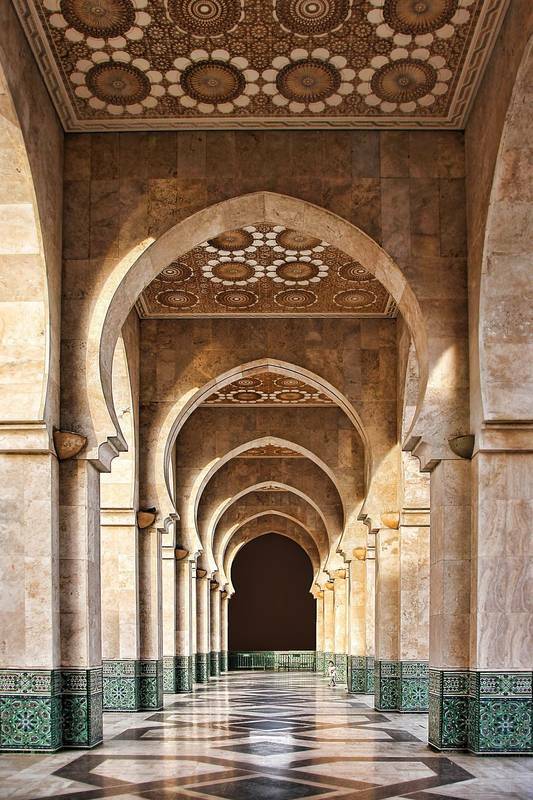 Experience Morocco on our exclusive Discover Recover™ holiday and explore a world filled with untouched landscapes, ancient cities, centuries-old customs and an inescapable air of uniqueness. Choose from a selection of exceptional tours like hiking trips to the Atlas mountain, city tours, cooking classes, ropeslides and ladders, and mountain biking. 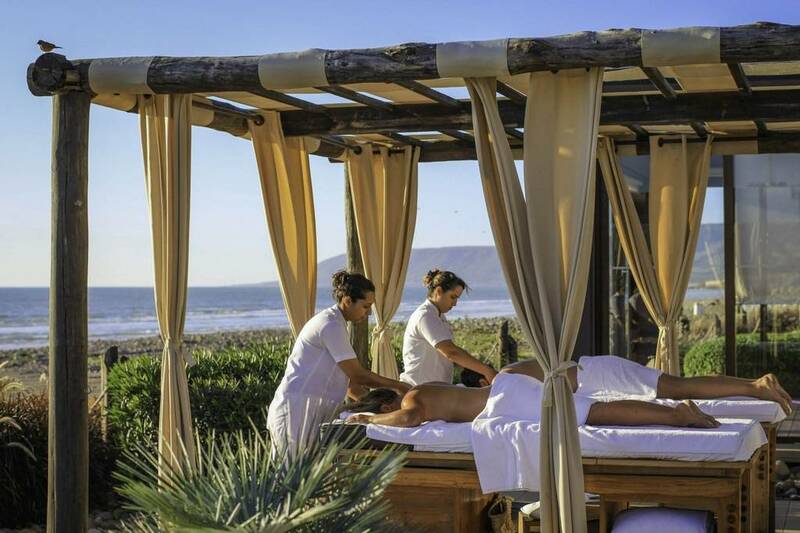 Then recover on one of our wellness holidays where you can unwind and recharge with daily spa treatments, take yoga classes on the beach, try out surf lessons or an assortment of exercise classes from martial arts to mountain hiking. 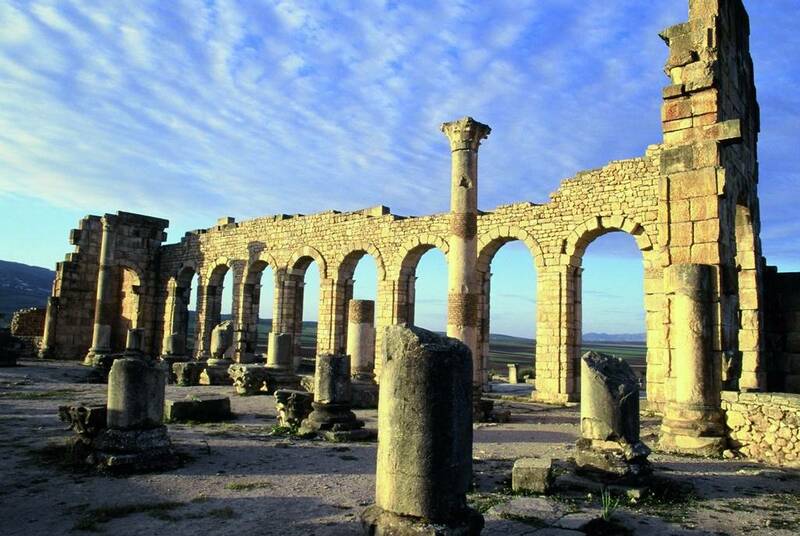 See the Atlas up close, experience the Berber culture and visit the valley of Ourigane. Departing from Marrakech, this tour travels through Lake Takerkoust, Plateau du Kik and Berber villages before reaching a valley in the heart of the Toubkal National Park. 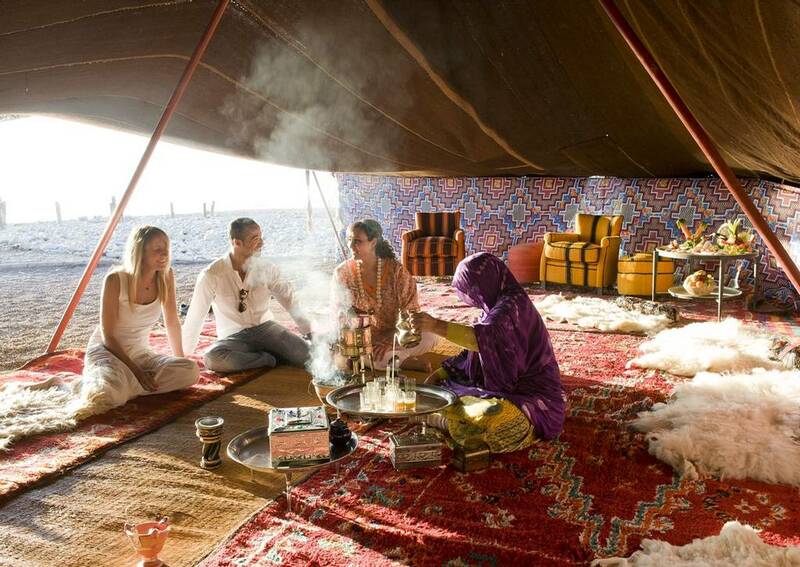 After an enjoyable garden lunch, take a walk through the villages and enjoy a refreshing tea in a Berber house. Experience this World Heritage Site and famous film backdrop after travelling over the High Atlas mountains and enjoying the numerous photographic opportunities they present. After lunch and a visit to the Kasbah, the private bus will take the small road north through the mountains to the Palace of the Glaoui at Telouet, which, though ruined, still represents glorious decoration. 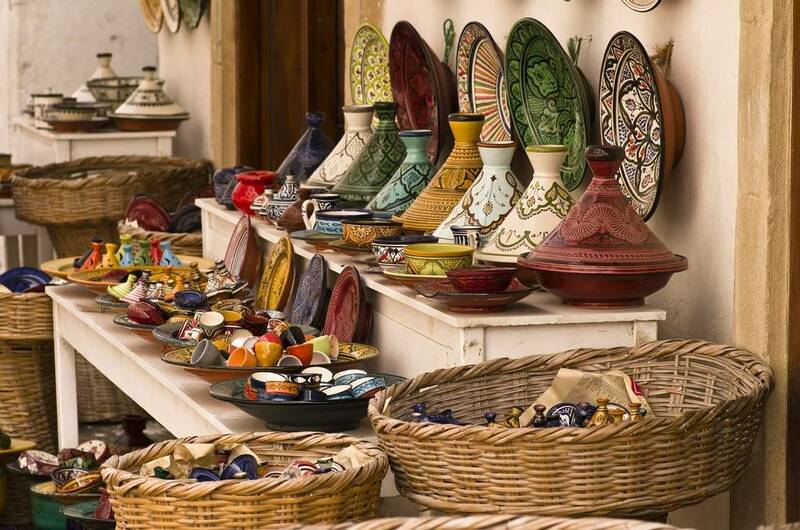 Experience the culture of the city with a guided tour of the souks, Palaces and Madrassa of the Medina in Marrakech. 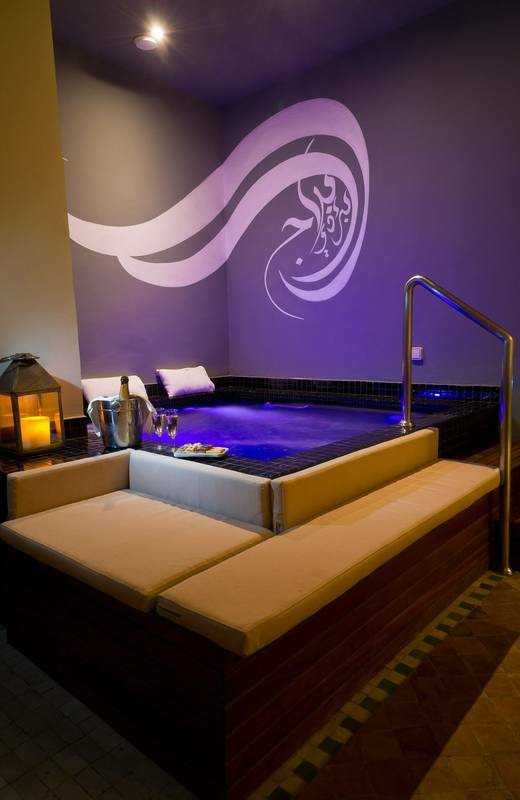 After a break for lunch, take the chance to enjoy a traditional Hammam in the city and relax. 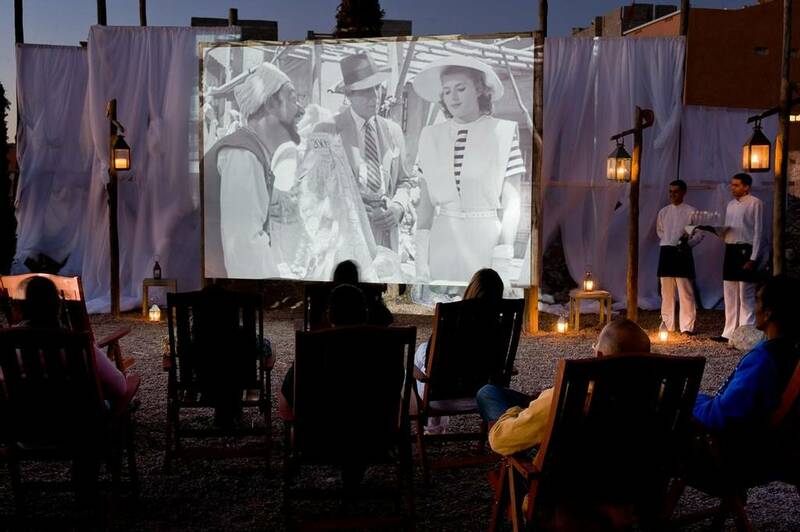 Later in the evening, private transport will take you to Chez Ali where there will be a packed show of Berber culture, dancing and activities whilst you enjoy dinner. 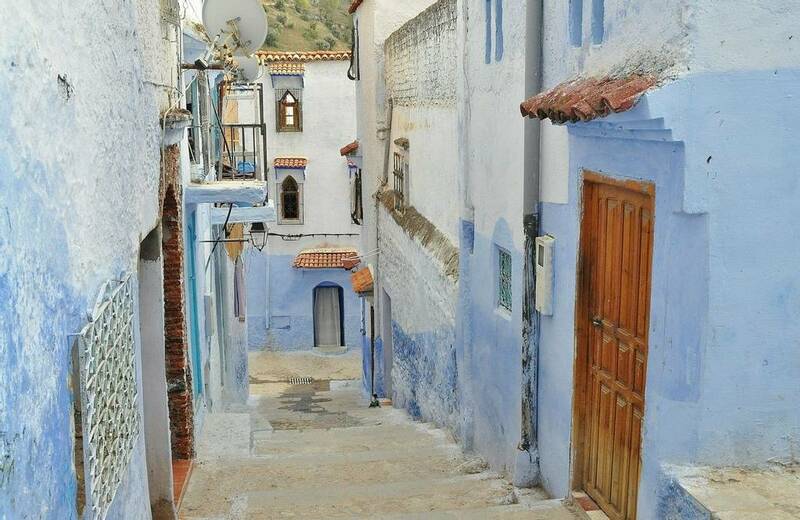 Enjoy a mix of history, culture and natural flavours with a drive through Berber villages, open air souks and pomegranate orchards before a visit to the wonderful waterfalls. Once at the waterfalls, you will walk to the base and take in the amazing view of the cascades before having a picnic. The road back to Marrakech will allow you to see the pomegranate orchards and experience more of the culture. 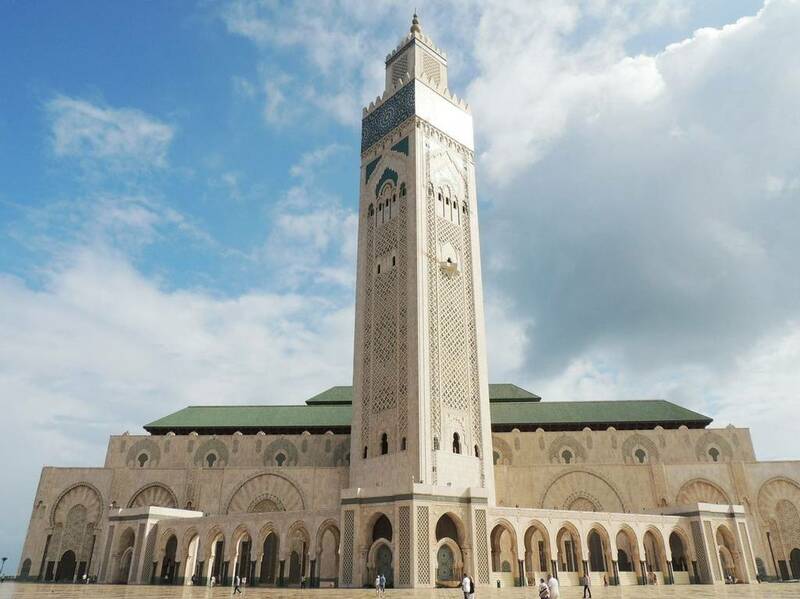 Experience the vast landscape that Morocco has to offer, from the almost desert regions of the Marrakech plains to the green argan forests around Essaouria. 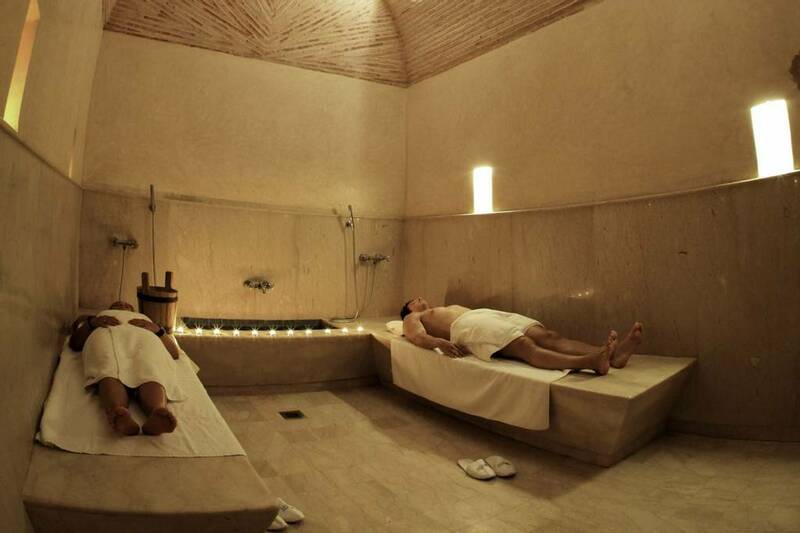 On the way, you will have the chance to see some traditional methods of argan oil production. 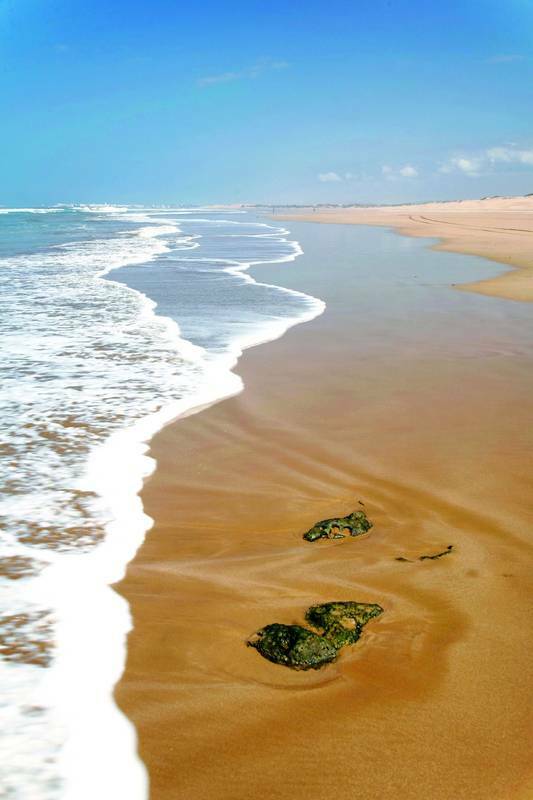 After lunch, you will have the chance to walk along the beach, stroll around the habour and medina or check out the fish market in Essaouira. Explore the landscape of the Atlas Mountains on a day trip to the region of Amizmiz in the foothills of the High Atlas. After picking up the mountain bikes, a guide will uncover a network of secret trails and dirt tracks so that you can experience the very best that the area has to offer. After travelling through this rocky region, a picnic lunch will be provided. 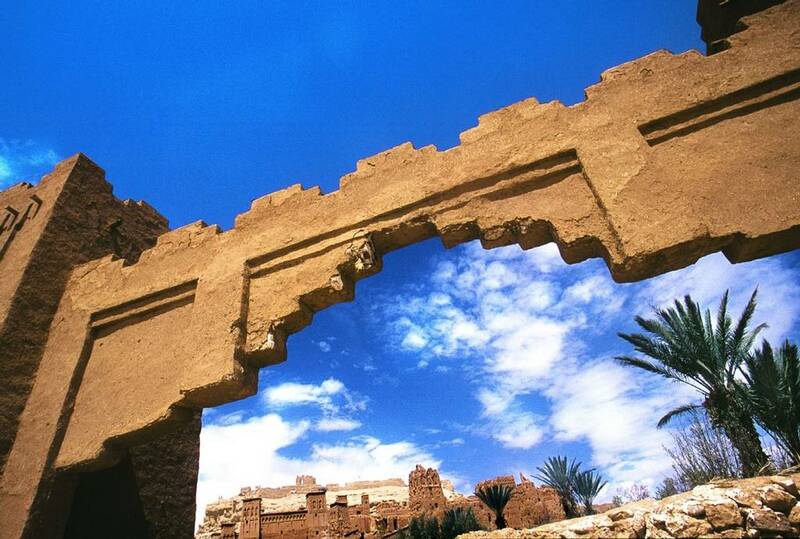 Experience the wonders of Morocco on this challenging, but exhilarating, climb. From Marrakech you will travel to the mountains and the village of Imlil, the base camp for climbing the highest peak in North Africa. You will get the chance to walk up to the Side Chamarouch shrine on the way to Jbel Toubkal and after lunch, you will be able to ask your guide any questions you may have. 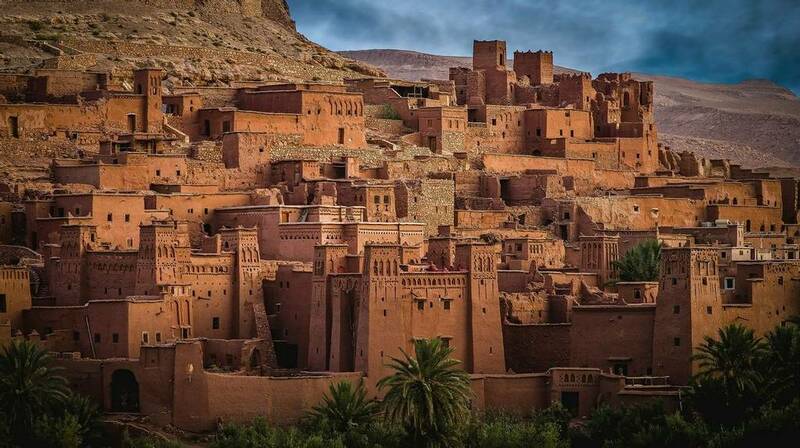 Enjoy this mix of history and culture with a day spent in the High Atlas valley of Oukaimden, where you will wind through villages and small pottery businesses. When you arrive at the top, 2500m high, you will be hit with the cool air of the valley. You can take a walk around the lake and see the tiny shelters and houses built into the rocks. 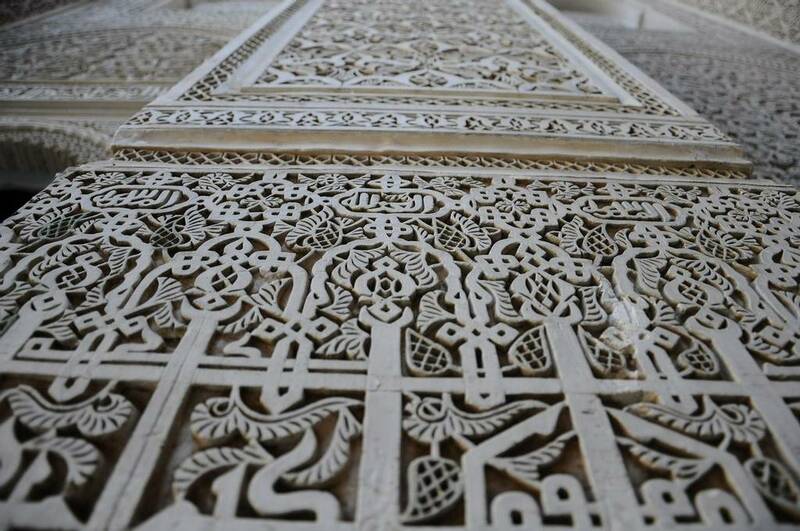 Visit rock carvings and enjoy a tea in the nomad village. Be adventurous and try out ropesliding over the amazing cliffs on a hilltop near the village of Amizmiz, with the option to use ropeladders, both adrenaline junkies and more conservative adventure seekers have the chance to find an activity that suits them. For those afraid of heights, you can enjoy a relaxing mountaintop walk or spa experience. For all interested in Moroccan cuisine, this day course in the city is a perfect way to learn the traditional cooking methods. Starting at the souk in the morning, you will buy the fresh ingredients that you will use to make your typical Moroccan dishes in the kitchen. Spend the day with a Moroccan tutor who will show you how to make traditional dishes before dining on the results of your hard work. 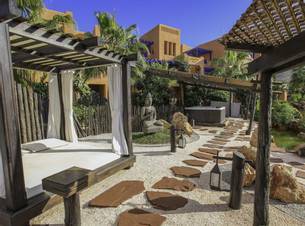 Recover after your exciting adventures around Morocco with a healthy holiday where you can choose a number of different programmes to follow. 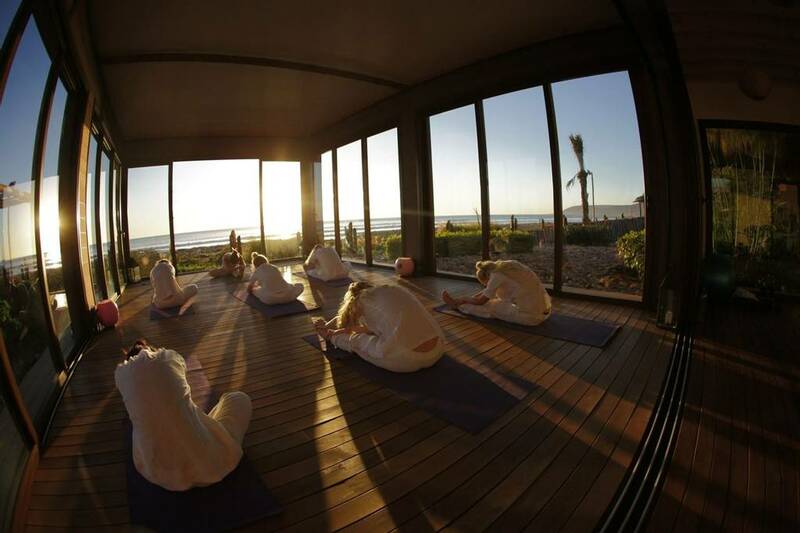 Whether you want to refocus with yoga classes, find your balance on the waves with a surfing holiday or just unwind with holistic spa treatments, your recovery choices are up to you. 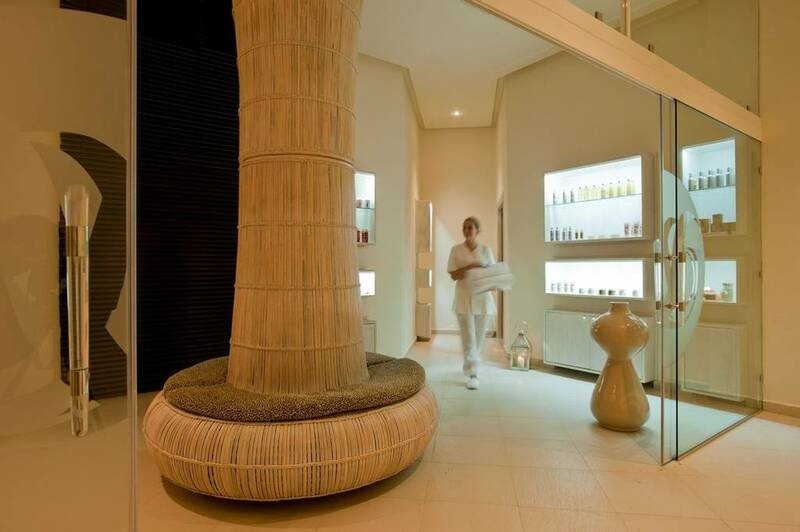 With daily classes from yoga to Pilates and helpful experts with a focus on mental and physical wellness, you will leave your memorable Discover Recover holiday refreshed and re-energized. 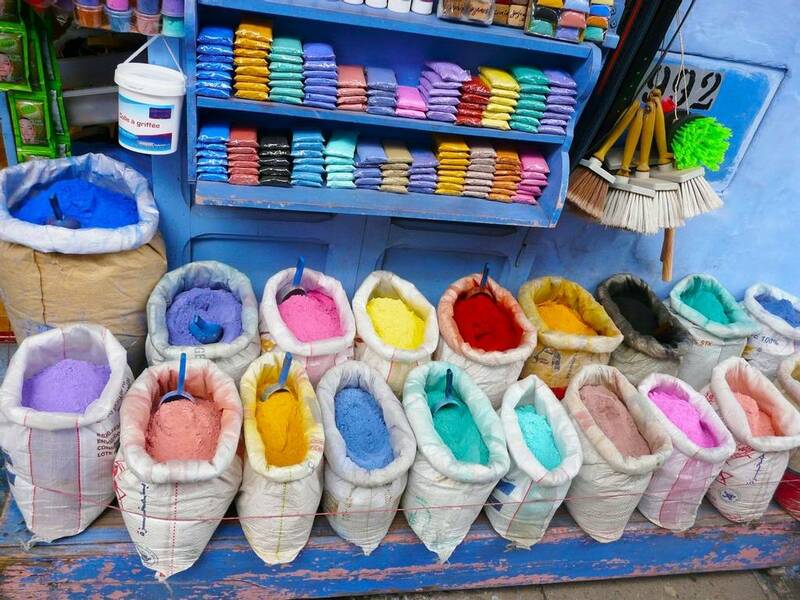 Discover Morocco's uniquely rich culture and experience the colourful diversity of North Africa. 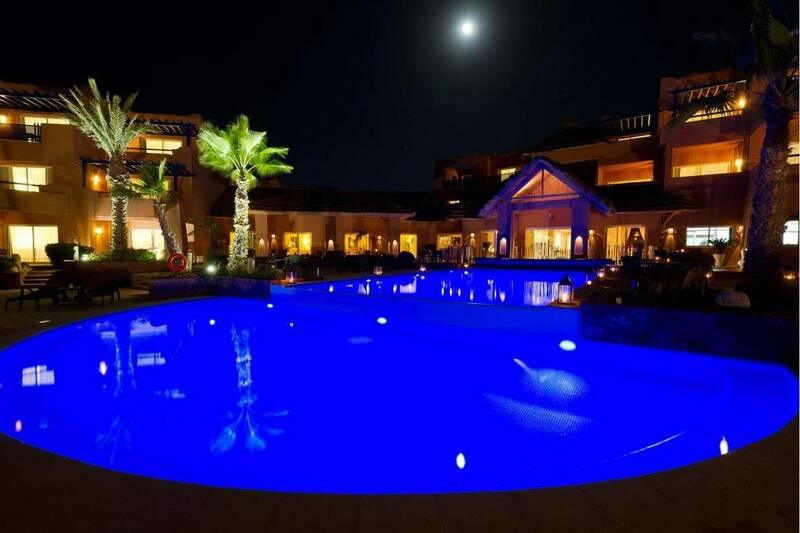 When you relax and unwind in these spectacular surroundings, from the rugged peaks of the High Atlas Mountains to the long stretches of stunning beach, you are sure to reconnect with nature. Explore the exotic variety of local traditions and enjoy world class cuisine that features a fusion of influences. 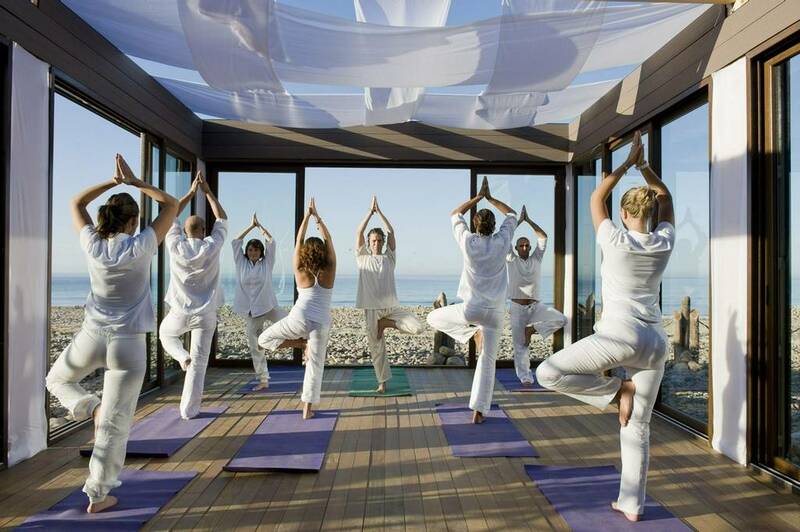 Focus on the present in a beachfront yoga class, de-stress with advanced spa treatments and have some fun in a belly dancing class. 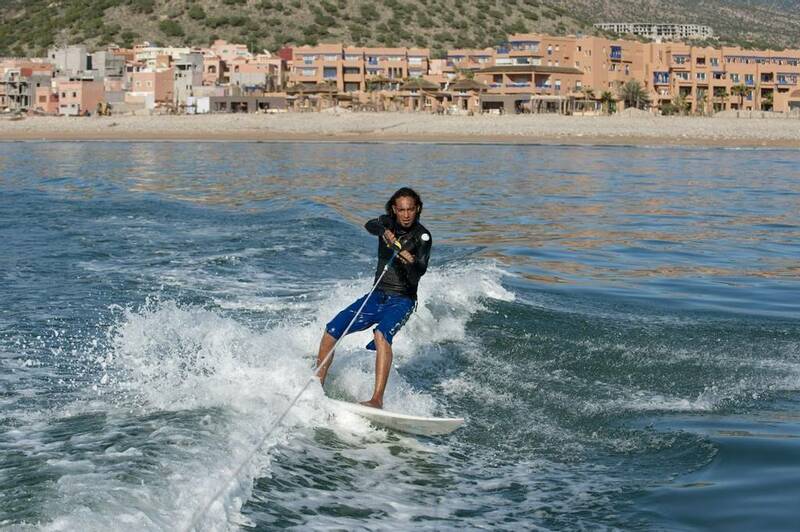 Morocco is the perfect destination to culturally enrich your mind and improve your well-being. 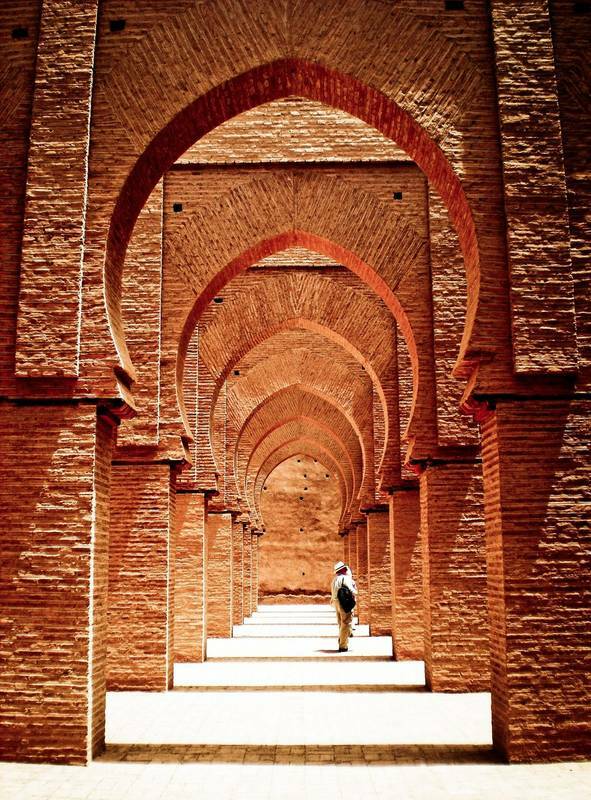 Departing from London, you will fly to Marrakech which takes on average just under 3 hours. 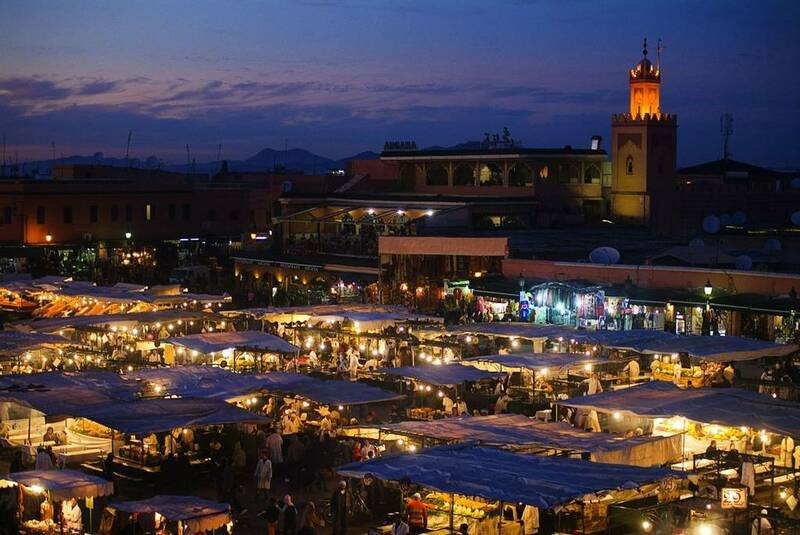 Upon arrival you will take a private transfer to your discover hotel, which will take approximately 20 minutes, and will take you through some of Marrakech quaint streets enabling you to get a real taste for Moroccan culture. 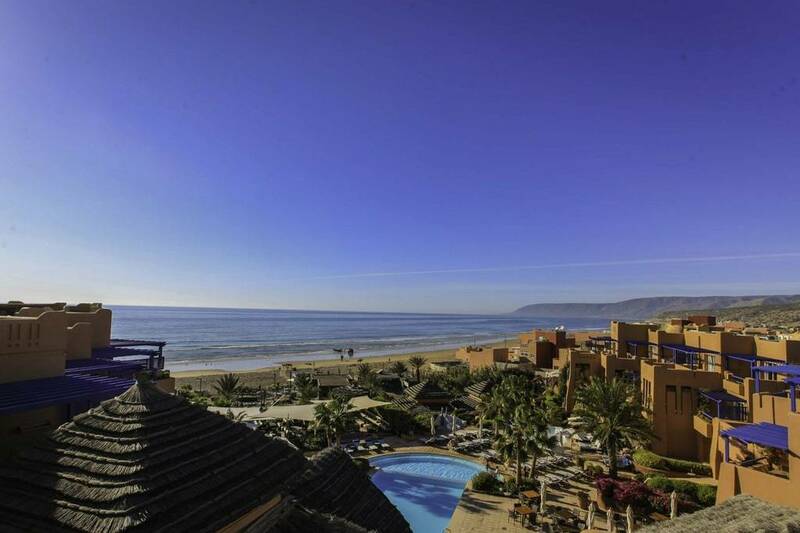 North of Agadir near the famous surfer’s village of Taghazout, Paradis Plage resort stands as the first surf, yoga and spa Resort in Morocco. 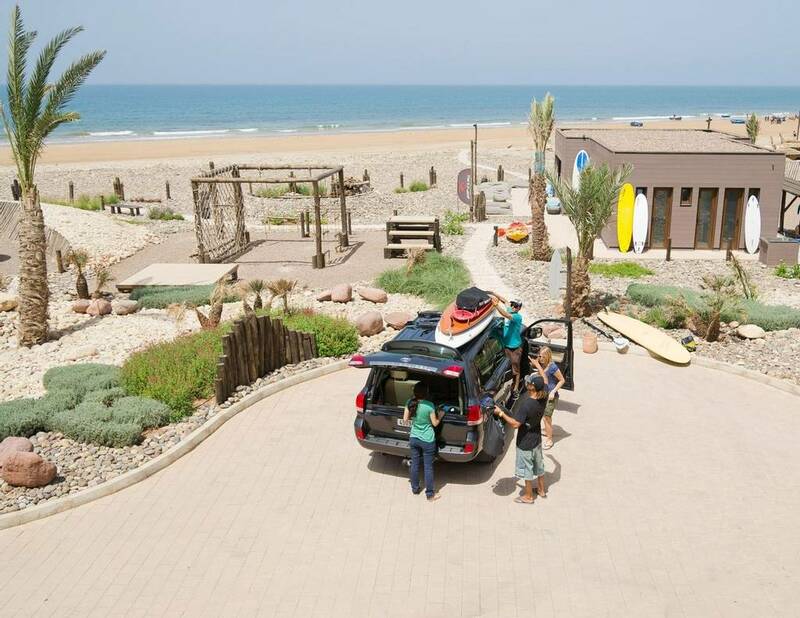 You will get a private ground transfer to the resort, which takes just under 3 hours and allows you to witness the vast landscape of Morocco, from desert to mountains, and valleys to the sea. The Sahara Desert’s gigantic orange dunes and lush, palm-fringed oases. 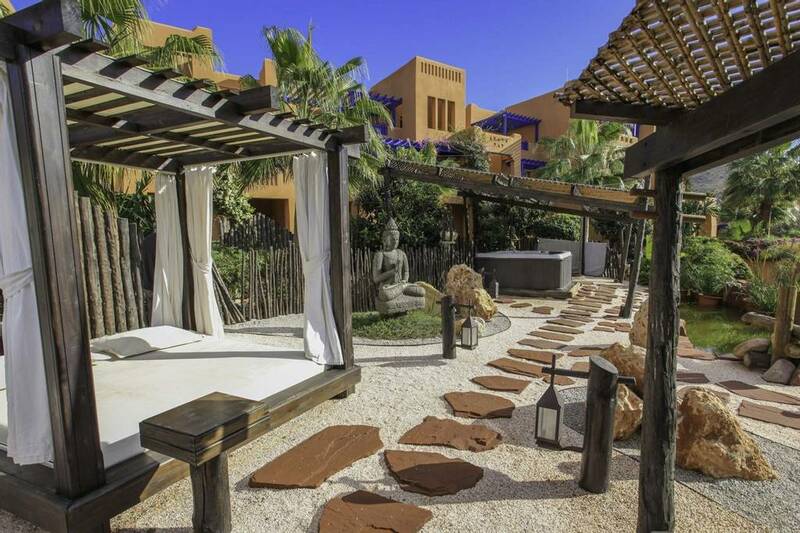 Once you have discovered Morocco, now it’s time to recover on our healthy holidays at Paradis Plage. 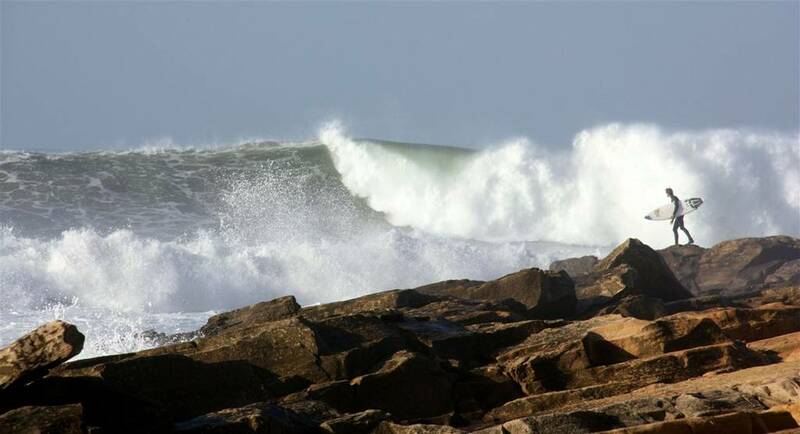 Travel to the North of Agadir for a surf, yoga and beach spa holiday with the option to participate in various activities so you leave Morocco feeling energised and healthy. 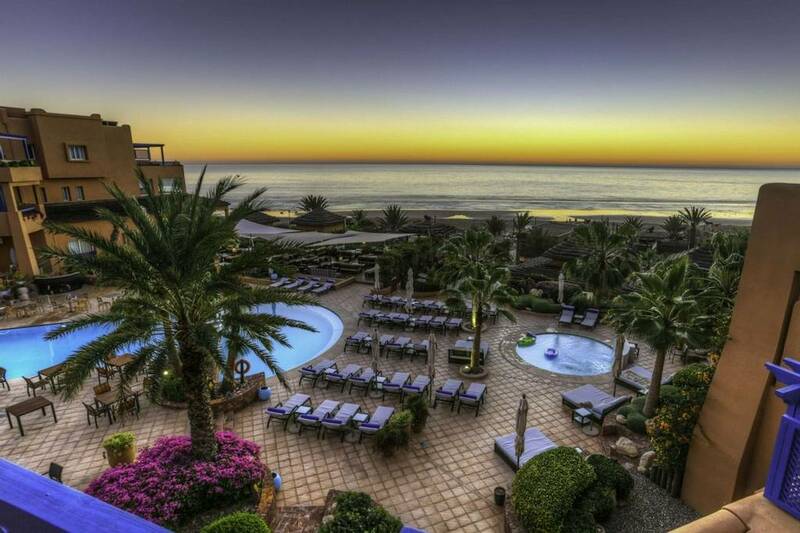 French for ‘Paradise Beach’, Paradis Plage is an idyllic surf, yoga and spa holiday based in Morocco. 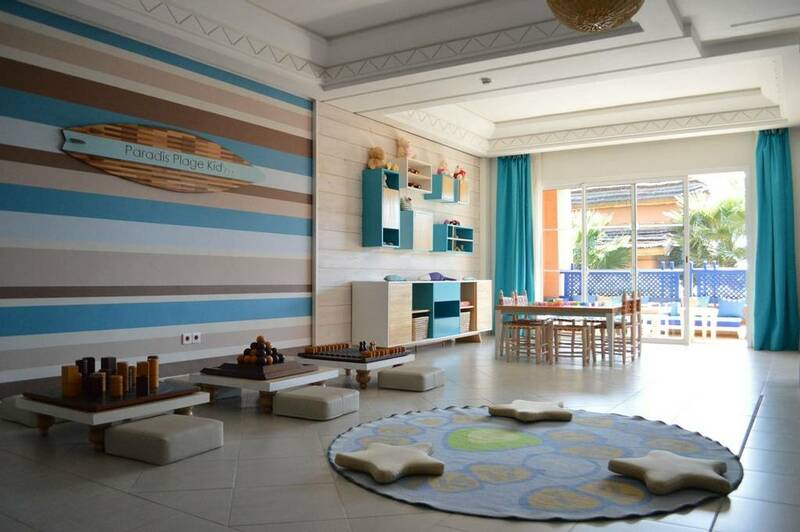 Open since early 2012, this healthy holiday destination is kept up to date with modern facilities and design. 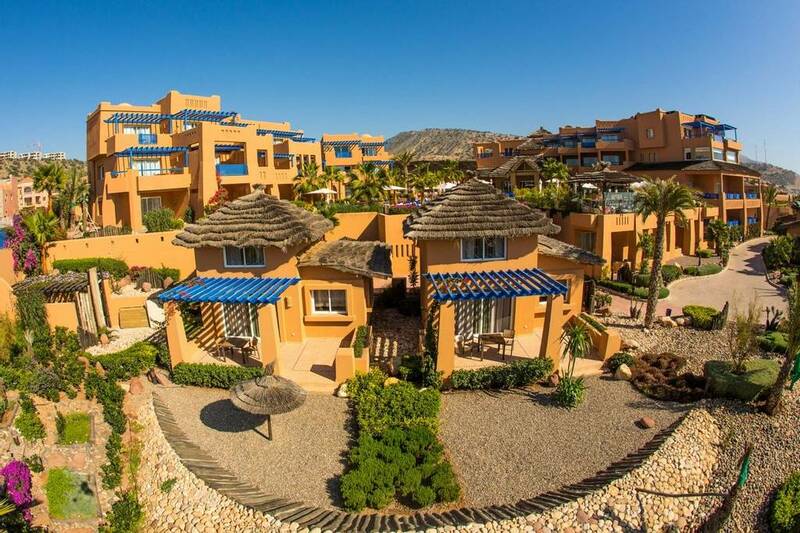 Enjoy fresh and healthy meals at one of their 4 restaurants, or have your food delivered direct to your room so you can eat in relaxed surroundings on your own private terrace.